This article focuses on Best Practices for sales people from guest poster Dave Kahle, author and leading sales educator. Follow Dave’s latest Tweets at @davekahle. Having spent most of my adult life in Michigan, I have naturally grown to be a fan of the Detroit professional sports teams. Basketball is my favorite sport, and I’ve been a Pistons fan since before the Bad Boys. As you know, the Bad Boys were world champions for a couple of years in the 80’s. 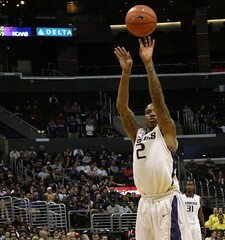 Isaiah Thomas was the leader of the team. He was at the top of his game — most valuable player on the world championship team. It doesn’t get any better than that. During that time, he built a house in Detroit, and added an indoor basketball court. When asked about it by a local newspaper reporter, he replied that he often woke up in the middle of the night and used the basketball court to practice his free throws. Imagine that. The most valuable player of the world championship team practicing the most basic shot in the game in the middle of the night. Why would he do that? Probably because he was not a 100 percent free-throw shooter. No matter how good he was, he knew there was room for improvement, and that he could become better yet. That belief, that you are not as good as you could be, that there is always room for improvement, is one of the marks of the best sales people. The world is full of mediocre sales people who don’t care enough about their own performance to spend any time or money improving themselves. My own experience is that only one out of twenty sales people has spent $25 of their own money on their own improvement in the last 12 months. While that certainly is an indictment of their lack of professionalism, it also represents an incredible opportunity for those who want to excel. Imagine how competent you could become, relative to your competitors, if you regularly spent time, money and effort improving your sales skills! What an opportunity! That’s one reason why the best sales people are the best. They regularly spend time and money on the pursuit of perfection. They are the ones who buy the books, listen to the CDs, attend the seminars, and eagerly participate in sales meetings. The best sales people continually pursue perfection, knowing that in the striving for it, they will catch excellence. And excellence is rewarded by greater competence, greater confidence, and a more robust standard of living. That’s why it is one of the best practices of the best. If you’d like to pursue this practice, check out The Sales Resource Center™ where we have over 435 lessons for sales people, all delivered 24/7 over the internet.